Several Miami properties frozen by prosecutors are listed under companies linked to Fernando Valero who died in a skydiving accident last week. At least four properties in South Florida that the U.S. government is seeking to confiscate for alleged links to the laundering of embezzed state oil company funds in Venezuela, are registered in public records in the name of companies linked to Fernando "Chicho" Valero, the businessman who died in a tragic skydiving accident last week. The properties are among 17 homes, with a combined value of $35 million, cited in the $1.2 billion money laundering indictment filed by federal prosecutors in Miami last Friday. The four homes linked to Valero, who was not chraged in the case, include three houses in Coral Gables. a leafy residential district, and an apartment in the Brickell Avenue banking district. They are all owned by companies in which the deceased businessman appears in public records as either a director or president. One of the homes, located on Prado Boulevard in Coral Gables, is valued at $2.2 million, and was purchased in 2011 by Britestar Worldwide Ltd Corp, a firm in which Valero appears as director and president. The list of seizures is part of a criminal case against eight businessmen and bankers accused of laundering $1.2 billion that was embezzled from the state oil company, PdVSA, in return for bribes and kickbacks to Venezuelan government officials. Some of the properties appear under the names of the defendants, while others, like Valero, do not face charges in the case. Valero, 42, died on Thursday after jumping with a parachute from a plane at 13,000 feet near the Higuerote aerodrome in Miranda state, east of Caracas. A video that has gone viral shows one of the skydivers losing control under a damaged parachute. Witnesses say Valero and another man collided midair, causing them to lose consciousness. One witness told Univision that two stepsons of President Nicolás Maduro witnessed the tragedy on the ground. The children of the first lady, Cilia Flores, Yosser Gavidia Flores, and his brother Yoswal, were close to Valero and shared his passion for skydiving, the source said. One witness described them in tears after the accident. That friendship and the anti-imperialist rhetoric of Maduro's government did not prevent Valero from investing in the United States, including high end jewelry and watch store, Vagú, in Miami's fashionable Design District, according to public records. The store also has offices in Venezuela, Colombia and Switzerland, offering luxury brands such as Rolex, Hublot and Roger Dubuis. 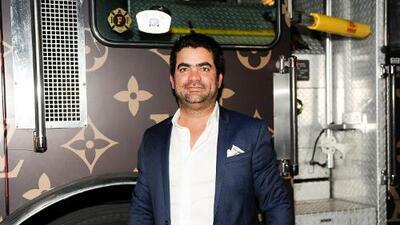 "We are a family business dedicated to luxury," Valero wrote in his LinkedIn profile. Valero's death was publicly lamented by wealthy Venezuelan businessman Raúl Gorrín, owner of the television network Globovisión. "Today I want you to know, wherever you are, that I love you, my brother," Gorrín wrote on his social media. "You are one of the few ... I always greet with a kiss," he added in a message accompanied by a photograph of the pair smiling broadly. Gorrín is also linked to the money laundering indictment. He is one of several unnamed "conspirators" not indicted in a criminal complaint, according to four sources familiar with the case who spoke to Univision. Prosecutors allege the laundered money was the proceeds of official corruption in Venezuela involving President Nicolás Maduro and PdVSA. Gorrín's Miami attorney, Howard Srebnick, said he could comment on the case, except to say his client denies any involvement in money laundering. Maduro and the Venezuelan government have not commented on the case. In recent years Florida has become a popular playground for wealthy businessmen with ties to the Venezuelan government - known as "boliburgues," (short for Bolivarian bourgeoisie, a reference to Venezuela's socialist 'Bolivarian revolution,' named after independence leader, Simón Bolívar) - who exploited a highly lucrative black market currency trading business converting U.S. dollars into Venezuelan bolívares at preferential exchange rates reserved for government cronies, as well as access to state oil company contracts. That currency trading business is now the focus of several U.S. government prosecutions alleging massive bribery and fraud allegedly sanctioned by the Venezuelan goveernment. Valero also had an office in Coral Gables, owned by Gorrín. Univision sources identified "The Kids" as Maduro's stepsons. Another frozen property, valued at $3.1 million, located on the same street as the properties linked to Valero, is registered in the name of Bogasa International Investments, whose manager is Mario E. Bonilla. That name corresponds to another of the accused in the money laudering indictment, identified as a "straw man" for "The Kids." Also listed is a villa located on Miami's Hibiscus Street and valued at $2.7 million. Florida records show that the house is owned by another of the defendants, Gustavo Hernández Frieri, a Colombian financier identified in the indictment as one of the brains behind the laundering scheme. Hernandez was arrested in Sicily last month and is awaiting possible extradition to the United States. Another frozen apartment, valued at $5 million, is located on Miami Beach in the brand new Porsche Tower, famous for its exclusive car elevator that transport vehicles up to the owners' unit. The owner, Carmelo Urdaneta, is the former director of PdVSA's legal office.